Gulf Shores AL Deep Sea fishing along the Alabama Gulf Coast has drawn visitors to the communities of Orange Beach AL and Gulf Shores AL for decades. For many, a fishing trip is a highlight of their vacation, but not everyone is in the position to hire a boat for themselves. We offer fishing for individuals and small groups that are partnered with other anglers to charter a boat together. 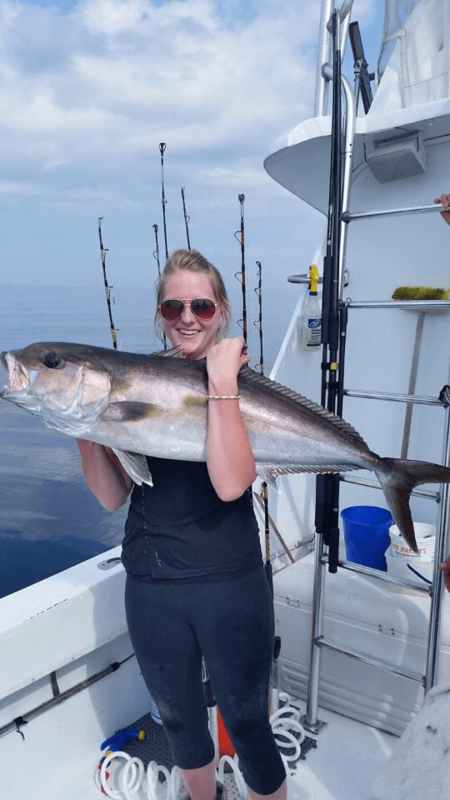 We offer shorter shared expense (semi-private/”walk-on”) charters trolling for near-shore pelagic species and well as longer combination trips that add bottom fishing for reef fish species. Gulf Shores AL Deep Sea Fishing Walk-on Trips – We are Pro’s and take pride in coordinating these Semi-Private Shared Expense Charters! Semi-private, shared expense trips take the most coordination of all of the trips offered in the area. This is where the service provided by AAA Charters really shines! AAA Charters takes the time and interest in talking with you about your group, your dates in the area, and your fishing interests. We talk about all your options, and begin coordination with others to put your ideal trip together. We are dedicated, resourceful and work with nearly 100 area captains. Spring has arrived along with cobia and spanish mackerel! 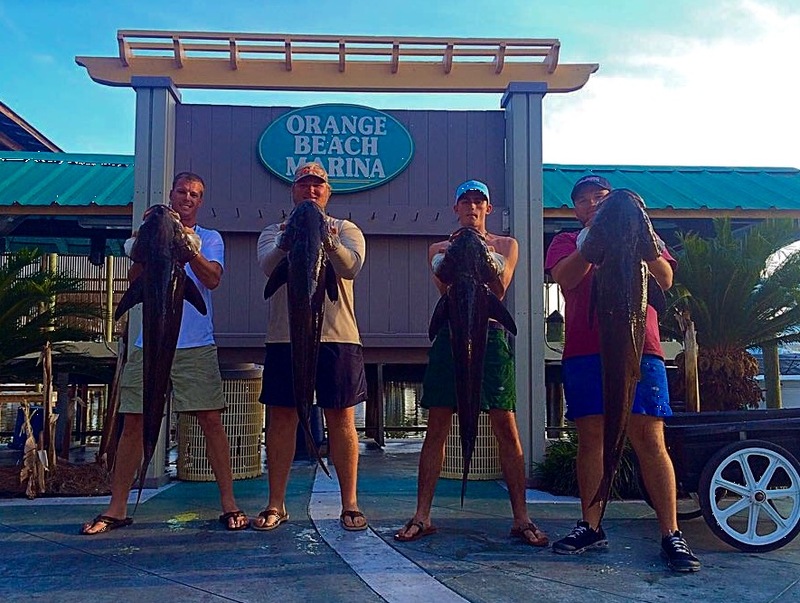 The spring cobia bite is keeping our docks buzzing as our local captains show off the big cobia they have been reeling in! Shared Expense (Walk-on) trolling trips (4 HR – 6 Hr) are available this Spring Break. Make your reservations now to make sure you aren’t left at the dock. 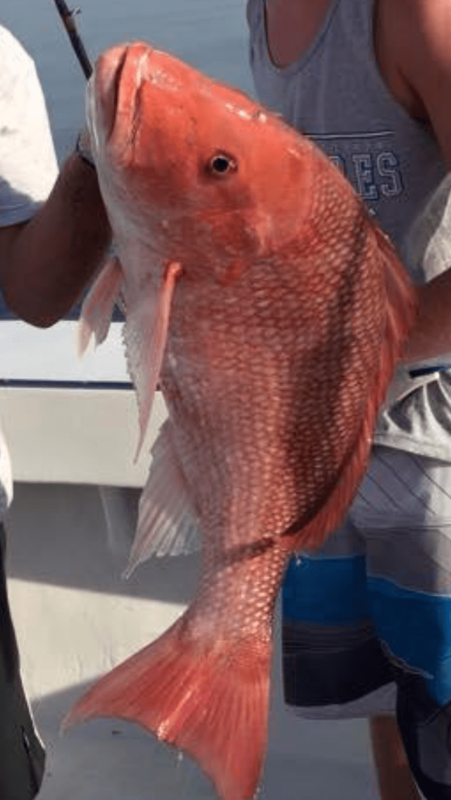 Big Red Snapper are biting off the Orange Beach AL Coast Spring 2015! Let’s Go Fishing! Only a handful of the dozens of local charter boats will be available for these AL & FL state water Red Snapper fishing trips, including six passenger offshore vessels and with some of our center console inshore guides. Fall 2016 red snapper can be harvested on Saturdays & Sundays. These red snapper fishing charters will be limited, so prior reservations are highly recommended. Beyond nine nautical miles, the Gulf of Mexico federal fishing regulations set by the Gulf of Mexico Fisheries Management Council (Gulf Council) determine the harvest seasons for the abundant fish species that live in our waters. Greater Amberjack will be closed from June 1 – July 31 and will reopen in August. Red Snapper Season will open June 1, 2016 and close at midnight July 16, 2016 and will return to catch & release. For the latest federal fishing regulations see the resources below. If you have a vacation planned to visit this spring, summer, or fall we can arrange your Gulf of Mexico fishing trip. What fish are in season and what are the size limits? Interested in Gulf of Mexico News & Regulations? What time are the tides moving in & out next week and when is the next full moon? Check out the links below to access theses informative fishing resources.